Just because you are following the Weight Watchers plan, it doesn’t mean that you can’t indulge in pancakes drizzled with warm sweet syrup! But with maple syrup clocking up 12 Smart Points per 1/4 cup (or 6 Smart Points for 2 tablespoons), if you are craving pancakes it makes more sense to find a syrup that is lower in Smart Points. 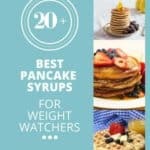 Many of the pancake syrups in this list are 1 or 2 Smart Points per 1/4 cup and some are even zero Smart Points! Many of these syrups are ‘sugar free’. This means that they don’t contain sugar but they do contain artificial sweeteners, sugar alcohols or ‘natural’ sweeteners such as stevia leaf or monkfruit extract. This gives them a sweet taste but with fewer calories (& less tooth decay) than sugar. However, if you look at the ingredient list of many of these syrups they can read like the index of a chemistry text book. So just be aware that there is nothing natural about many of these sugar free syrups – along with the advantages of using sugar free products there may also be disadvantages. What are possible side effects of sugar alcohols. Some sugar alcohols & artificial sweeteners are known to cause some ‘interesting’ side effects. These effect people in different ways with some more sensitive to them than others. If you’d like more information about sugar alcohols please take a look at this article by the FDA. Some people complain about the aftertaste of products which contain artificial sweeteners & sugar alcohols. These range from a metallic taste to a cooling, over sweet sensation in the mouth. This aftertaste varies from product to product and not everyone has a problem with it. I guess it’s just personal preference. How I worked out the Smart Points? At the time of writing this list, Weight Watchers does not require you to add sugar alcohols into the calculator to work out the Smart Point values of foods containing them. Therefore, the Smart Point values have been worked out using the usual calories, protein, saturated fats and sugar counts. Use it over low Smart Point pancakes such as these from SkinnyTaste. Use it to drizzle over low Smart Point waffles like these from the Weight Watchers website. Or how about jazzing up fat free yogurt or one of these Low Point Ice Creams with a little syrup? Nature’s Hollow sugar free, low calorie Maple Syrup is 2 Smart Points for 1/4 cup (60ml) or 1 Smart Point for 2 tablespoons on Weight Watchers Freestyle plan. People report that it has a good maple syrup taste but is quite runny. It is available to buy in a 2 pack from Amazon here. Alternatively you can purchase it direct from Natures Hollow website. 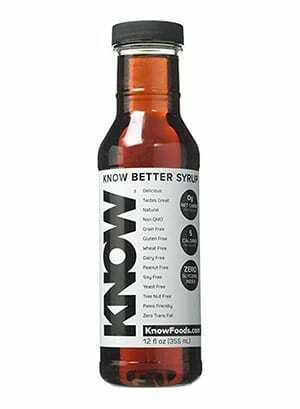 This syrup which is sugar free and sweetened with monkfruit is 1 Smart Point per 1/4 cup or zero Smart Points for 2 tablespoons. 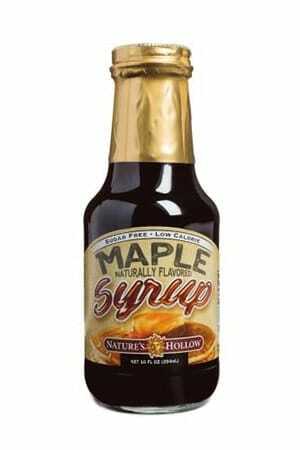 There are lots of great reviews of this syrup with people reporting a great maple syrup taste and no aftertaste. It is available to buy from Amazon here along with other monkfruit sweeteners. It is also available to purchase direct from the Lakanto website. 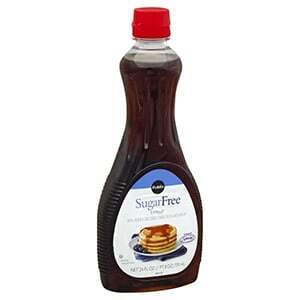 This Sugar Free Pancake Syrup is zero Smart Points per 1/4 cup (60ml) on Weight Watchers Freestyle plan. It has mixed reviews with some people reporting it to taste great but others reporting an artificial after taste. People also suggest that it is too runny. 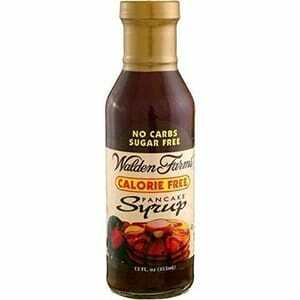 Walden Farms sugar free syrups are available to buy from large supermarkets such as Walmart. Alternatively you can purchase it from Amazon. 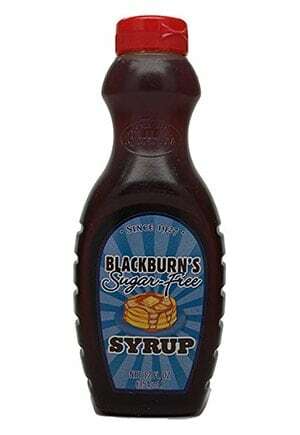 This sugar free syrup is 1 Smart Point per 1/4 cup (60ml). Alternatively, you can have 2 tablespoons of the syrup for zero Smart Points. It is available to buy from Stater Bros supermarkets. This sugar free breakfast syrup is 1 Smart Point per 1/4 cup (60ml) or zero Smart Points for 2 tablespoons. Reviews suggest that it has a good taste although more a caramel flavor than maple flavor. Reviews also suggest that it doesn’t have a strong after taste but that it is quite runny. 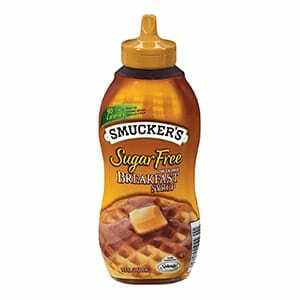 Smucker’s brand syrups are widely available or can be purchased in a packs of 2 from Amazon. 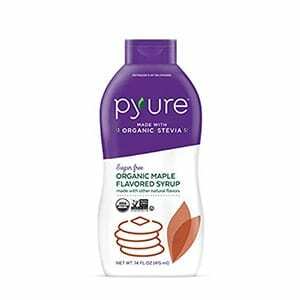 This syrup, made with organic stevia, is 2 Smart Points for 1/4 cup or 1 Smart Point for 2 tablespoons. Reviews are generally good but suggest that it has a good taste but it doesn’t taste of maple syrup. Some people suggest that it has an aftertaste and is a bit runny. It is available to buy from Whole Foods Market as well as from Amazon here. This sugar free syrup is 1 Smart Point for 1/4 cup (60ml) or 0 Smart Points for 2 tablespoons on Weight Watchers Freestyle plan. 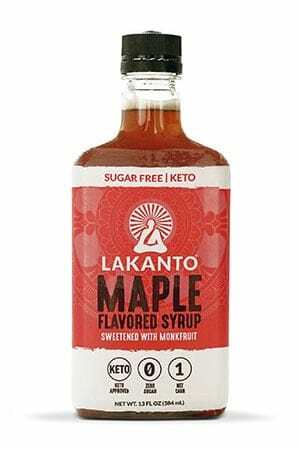 Some people have given this syrup very good reviews whereas others say that it’s very sweet and does not have a maple syrup taste. It is available to buy from Publix. This sugar free syrup is 1 Smart Point for 1/4 cup (60ml) or 0 Smart Points for 2 tablespoons. It has good reviews with people saying that it has a good consistency and no aftertaste. It is available to buy from large supermarkets including Walmart or you can buy a pack of 4 from Amazon here. 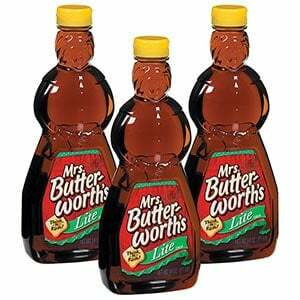 Compared to Mrs Butterworth’s Sugar Free Syrup, this lite version is high in Smart Points. It is 6 Smart Points for 1/4 cup (60ml) or 3 Smart Points for 2 tablespoons. 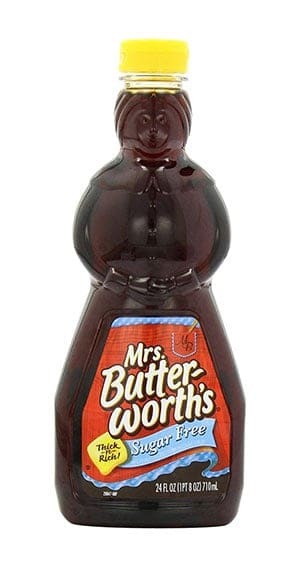 Reviewers claim that this lite version of the popular breakfast syrup has an equivalent taste to the original ‘non lite’ syrup. They suggest it has a nice blend of butter and maple flavors. However, it can be quite difficult to find in stores but it can be purchased from Amazon here. 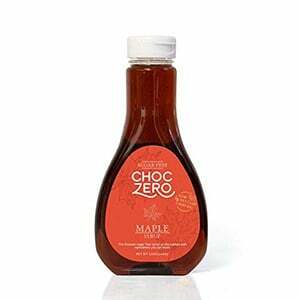 This sugar free maple flavor syrup is zero Smart Points per 1/4 cup (60ml) on Weight Watchers Freestyle plan. Reviewers like the taste and report no strong aftertaste. The consistency is quite runny and it doesn’t have a strong maple flavor. It is available to buy from large supermarkets including Walmart or it can be purchased from Amazon individually or in packs of 12 bottle here. This sugar free syrup is 1 Smart Point per 1/4 cup (60ml) or zero Smart Points for 2 tablespoons. It has some good reviews with people saying that it has a nice taste but people also comment on it being a runny consistency. It can be found in supermarkets including Walmart or can be purchased in packs of 4 from Amazon here. This maple syrup is 6 Smart Points for 1/4 cup or 3 Smart Points for 2 tablespoons. It has good reviews with people reporting it to have a good maple syrup flavor and consistency. 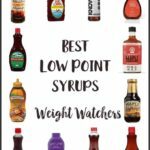 It is not sugar free so is higher in Weight Watchers Smart Points than many of the other syrups in this list. It is available to buy from Amazon here. This maple flavored sugar free syrup is 1 Smart Point for 1/4 cup (60ml) or 0 Smart Points for 2 tablespoons. Reviews are generally good with people reporting a very good taste without an aftertaste. The syrup is made with Maltitol which can lead to stomach upset in some people. It is available to buy from large supermarkets such as Walmart but can also be ordered from Amazon here. This sugar free syrup is just 1 Smart Point per 1/4 cup (60ml) or 0 Smart Points for 2 tablespoons. 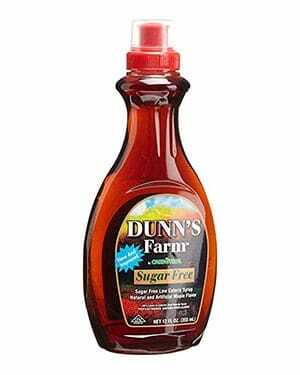 It has mixed reviews with some saying that they loved it as a sugar free alternative to the original syrup and some saying that it had a strong aftertaste. It can be quite difficult to track down although Walmart sometimes stock it. 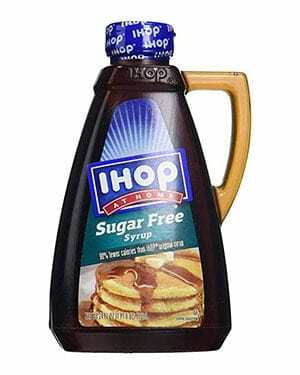 Ihop syrup is also available to buy from Amazon here. 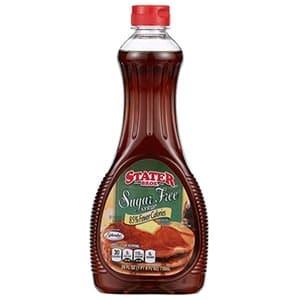 This sugar free syrup is 1 Smart Point per 1/4 cup or zero Smart Points for 2 tablespoons. It is partially sweetened with Splenda and is microwaveable. Reviewers comment on its buttery taste. 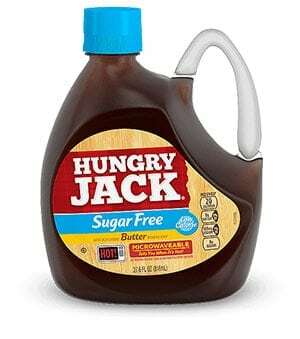 It can be difficult to find but can be purchased direct from the Hungry Jack website and sometimes from Amazon here. This sugar free pancake and waffle syrup is 1 Smart Point for 1/4 cup (60ml) or 0 Smart Points for 2 tablespoons. It is available to buy in 12 bottle packs from Amazon here. 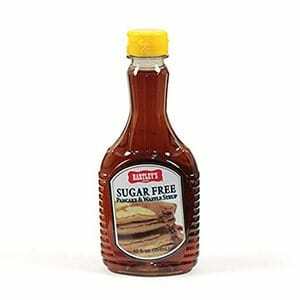 This sugar free syrup is just 1 Smart Point per 1/4 cup (60ml) or 0 Smart Points per 2 tablespoons. Reviews are generally good with people commenting on its taste and the lack of aftertaste. It is difficult to find in stores but can be purchased in cases of 12 bottles from Amazon. 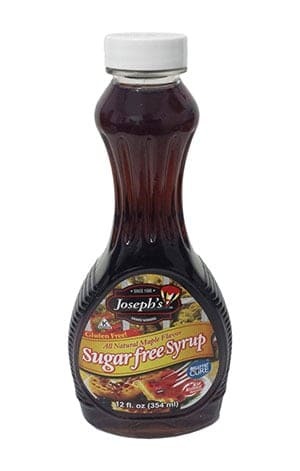 This sugar free syrup is zero Smart Points per 1/4 cup (60ml). It has generally good reviews which suggest that it has a great taste with no aftertaste. You can buy it direct from the Cracker Barrel website. This sugar free maple syrup is 2 Smart Points for 1/4 cup (60ml) or 1 Smart Point for 2 tablespoons. It has great reviews with people commenting on its lovely buttery flavour and thick consistency. It is also claimed that it does not leave a nasty aftertaste. You can buy it from Amazon or direct from the Choc Zero website. 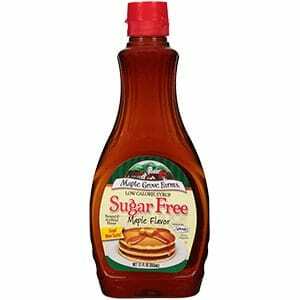 This sugar free syrup is 0 Smart Points per 1/4 cup (60ml) on Weight Watchers Freestyle plan. It has very good reviews with many people commenting on the flavor and lack of aftertaste. It can be purchased in large supermarkets such as Walmart or can be ordered from Amazon in boxes of 12 bottles or 2 bottles. 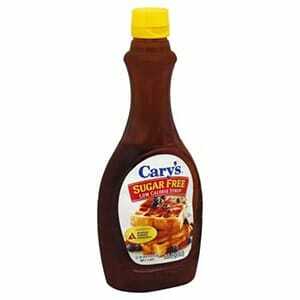 This sugar free syrup is 1 Smart Point per 1/4 cup (60ml) or zero Smart Points for 2 tablespoons. 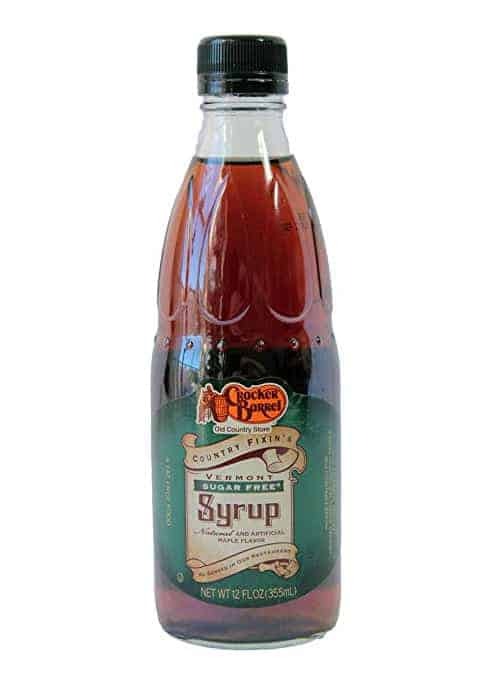 It has some good reviews with people commenting that it doesn’t have the unpleasant aftertaste of many other sugar free syrups but it is difficult to find and is only occasionally available from Amazon. This Lite syrup is 6 Smart Points per 1/4 cup (60ml) or 3 Smart Points per 2 tablespoons. 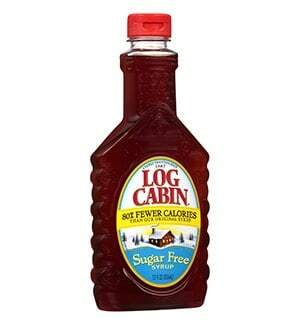 It is higher in Smart Points than sugar free syrups but is half the calories of the original syrup. 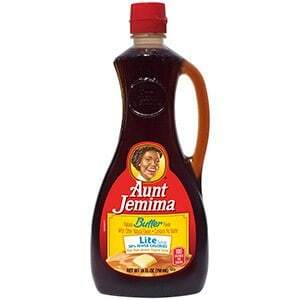 Reviews suggest that the taste and consistency are similar to the original syrup. It is widely available to buy from supermarkets or can be brought in a pack of 10 from Amazon. 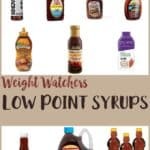 If you enjoyed this list of Low Point Pancake Syrups, you may also like to take a look at these lists of Weight Watchers low Smart Point foods.